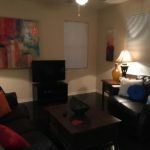 Fully furnished, high quality unit right off I-40. 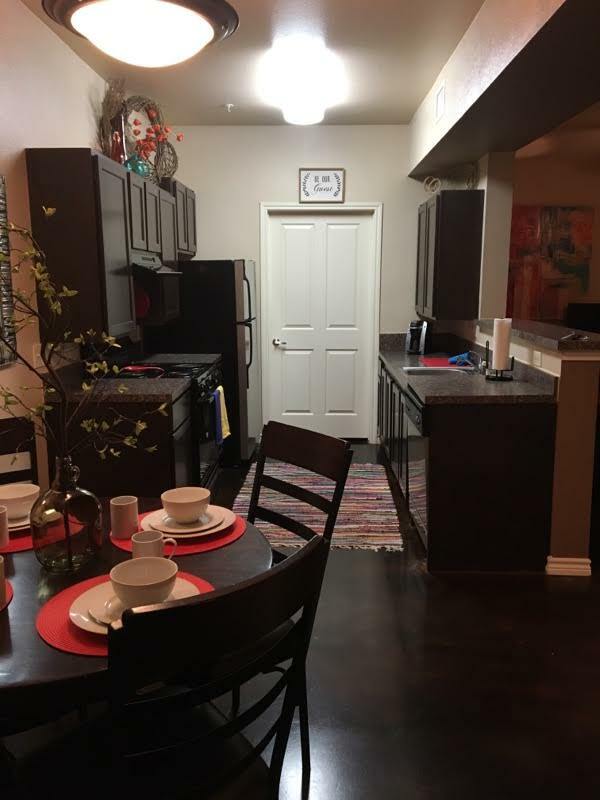 Close to dining & shopping. 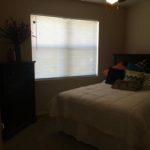 This unit comes with high quality bedding, granite counter tops, gorgeous appliances, WiFi, flat screen tvs, Keurig, linens, towels, cookware, utensils, washer & dryer in unit, & much more! Open floor plan with the dining and kitchen area. 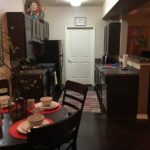 The image shows a black dining table and black appliances in the kitchen. Image of a small bedroom with a full-size bed with a white comforter and multiple pattern pillows with a dark dresser in the corner. The room is painted tan with tan carpet. 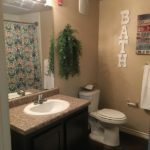 Image of a bathroom with tan walls, dark hardwood flooring, a toilet, nice granite counter top, and a shower. The living room is painted a tan color with dark hardwood flooring, there are two dark leather couches and a brown coffee table. There is a small entertainment center with a small TV.